Southampton is one of Britain’s major ports located on the south coast of England, in the county of Hampshire. Cruise ships dock in Southampton at the Western docks or Eastern docks. The 4 cruise terminals; Ocean Terminal, QEII (Queen Elizabeth II) Terminal, Mayflower and City Terminal are all located within easy reach from the city centre, train station (5 minutes by taxi) and airport (5 miles). City centre hotels and bed & breakfasts are only a short walk from pubs, parks, and restaurants. Where to Stay Pre and Post Cruise ? Many Southampton hotels and b&b’s can be found in the city centre or right next to the harbour and waterfront. 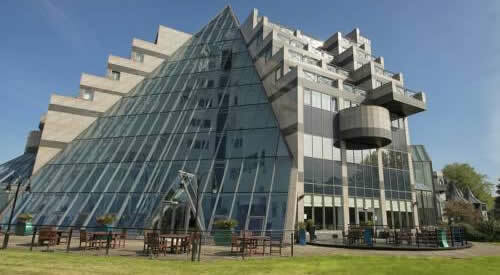 We provide you with a list of comprehensive hotels in Southampton. 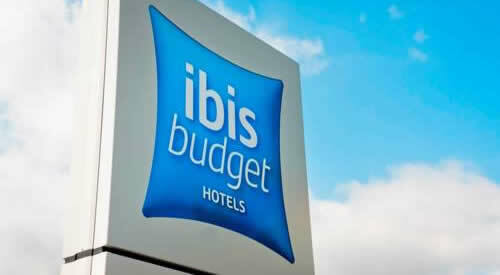 Stay in a cheap hotel, cosy bed and breakfast or a luxury 4 and 5 star hotel. Many offer free car parking and are located near Southampton cruise ship terminals. When flying into London for a couple of days before the cruise or staying a couple days after a cruise, gives you the opportunity to visit the capital city of England. Visit Westminster Abbey, Houses of Parliament, Big Ben, Buckingham Palace, etc. Stay in central London close to Waterloo Station (popular is the Westminster area), from where a direct train service leaves to Southampton Central Railway Station. Many properties can be found close to London Waterloo station. If you’re arriving late or when having an early morning departure from London Heathrow or Gatwick airport (Stansted, Luton), many nice places are located nearby and have an airport shuttle too. Cheap hotel located in central Southampton UK, near the train station. Modern rooms. Budget friendly accommodation 1 mile from junction 7 of M27. Port is within easy reach. One of the nearest hotels from the cruise docks. Located on Southampton waterfront. For decades, the Port of Southampton has been the homeport for many mighthy war ships and luxurious cruise liners. In 1907 it was Britain’s premier passenger port with transatlantic voyages provided by the White Star Line. Opened in 1911 was The White Star Dock, later known as Ocean Dock, from where the Titanic was to leave Southampton on 10 April 1912 to New York City. In 1912 it was the home port for 23 steamship companies including Royal Mail, Union Castle and American Lines. Today its the primary cruise port of the United Kingdom and Western Europe. It’s also a major ferry and cargo port. Southampton is well known as being the home port for Cunard’s majestic transatlantic ocean liner Queen Mary 2, offering seven day transatlantic crossings from the UK to New York. Southampton is currently home to 4 cruise ship passenger terminals, located at the Western docks or Eastern docks. By train, the closest station is Southampton Central. Regular local and national rail services run here, with links to Southampton Airport Parkway (station which is a 5 minute walk from the airport) running frequently. Main cruise companies operating from the piers include Cunard, Royal Caribbean, P&O Cruises, Princess and Celebrity Cruises. The new Berth 104 cruise facility is scheduled to open in 2015. The Ocean terminal is accessed via Dock Gate 4. The facility is approximately 1 mile from both railway and coach stations. The airport is 5 miles away. The terminal is located just off the A33, Platform Road. Just head for Dock Gate 4. Mayflower terminal is accessed via Dock Gate 10. Train and coach station is half a mile away, the airport 5 miles. Travelling by car, follow the A33 heading for the Western Docks via Dock Gate 10. Follow the signs. The City cruise terminal can be reached via Dock Gate 10, which is also half a mile from the railway and coach stations. SOU airport is 5 miles from this facility. Reaching the terminal by car, just head towards the Western Docks. Follow the A33, West Quay Road. Look for Dock Gate 10 sign, you reach the City terminal just through there. The city terminal is less than a mile from the central railway station, which is a 15 to 25 minutes walk. The entrance to the Queen Elizabeth II port facility is via Dock Gate 4. Trains and coaches are 1 mile from terminal, and 5 miles from Southampton airport. You can reach the terminal by following the signage for Dock Gate 4. The QEII terminal is located just off the A33, Platform Road in the Eastern Docks. Entrance is via dock gate 10. Berth 104 is located between City and Mayflower Cruise Terminals. Southampton, the county city of Hampshire in southern England is a popular cruise destination with visitors from all over the world. Many people choose to book cheap hotels or b&b’s near one of the city’s port terminals for their onward journey on board cruise ships. It’s a city located alongside the River Itchen and River Test. There’s a fabulous range of seafood restaurants and bars where you can enjoy a meal and a drink or two. You can find plenty of value for money deals in Southampton on hotels to keep within your budget, whatever time of year you wish to visit. Within easy reach of all cruise terminal buildings, there is also a good selection of bed and breakfasts, guest houses and apartments. To get the very best accommodation deals, close to the city’s port, reserve a room in advance or check out last minute deals. At first compare prices, room availability, family and group discounts as well as bed and breakfast options. 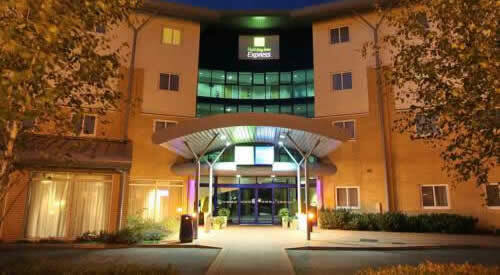 Highly recommended is the Premier Inn West Quay. This hotel fills up fast, so book it early ! Closest hotels include the Holiday Inn, Grand Harbour and Ennios Boutique Hotel. Looking for a bed and breakfast ? Alcantara Guest House is highly recommended. Parking — two car parkings are located at the cruise terminals of Southampton UK. High secure parking for Royal Caribbean, Celebrity Cruises, MSC, Norwegian Cruise Line NCL, Ocean cruises by Saga and Fred. Olsen is provided at the port by Associated British Ports (ABP). Long stay car parkings are located just near the cruise ship terminals, the majority are within walking distance. Shuttle car parks are located less than a five minute drive from the cruise terminal. Also a limited number of disabled car parking spaces are available. 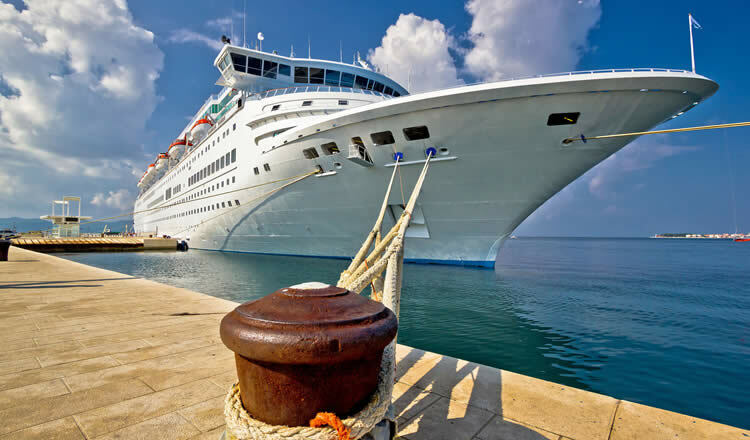 If you sail with Cunard, P&O or Princess Cruises of the Carnival Group, safe and secure parking facilities in Southampton Docks is operated by CPS Cruise & Passenger Services. CPS also offers check-in services, passenger, stores and baggage handling, and mooring. SOU regional airport is located just outside the city centre off junction 5 on the M27, which is about 5 miles away from the terminals. Central London (Tilbury docks) is approximately 80 miles or 128 km from the cruise docks. Trains to the city centre run up to every 15 minutes from Platform 2 (which is on the airport side of the railway station) to Southampton Central station. From where you can get a taxi to one of the cruise terminals. Passengers disembarking in Southampton can catch a taxi to Southampton Central Station. From here a train runs frequently to Southampton Airport Parkway station, located within walking distance of the airport. There is a taxi rank located outside each cruise terminal. Trains run up to every 15 minutes. From the airport to the port: Catch the Uni-Link U1 bus directly outside the airport terminal for Dock Gate 4. Please note: For security purposes, all passengers must alight at the Dock Gate 4 bus stop in Platform Road and walk the remaining distance to your cruise terminal. From the port to the airport: Catch the U1 bus from Dock Gate 4 bus stop in Platform Road to the airport terminal. For travelling between Southampton docks and Heathrow Airport, the best solution is taking the cheap Coach Buses. These National Express Coaches will bring you directly to London Heathrow International Airport LHR. Gatwick is about 90 miles or 145 km from the port terminals. You can reach Southampton by either National Express coach bus, by train, or rental car. Southampton Train Station — located 1,5 miles or 5 minutes by taxi from the Port of Southampton. The central railway station is served by many major cities across the United Kingdom, including central London, Manchester, Birmingham, Bristol, Oxford, Cardiff, Leeds and Brighton. A journey of 1 hour 20 minutes will take you from London Waterloo station to Southampton Central. There are also direct trains between Southampton and Gatwick Airport. These trains go all the way up to London Victoria Railway and Coach Station. Southampton Central Rail station is not next to any of the cruise terminals, so getting to the port requires a short and cheap taxi ride. The station has also a free shuttle service that links the station to the city centre and on to Town Quay, for the Isle of Wight Red Funnel and Hythe ferries. Bus services are operated by Bluestar, First, Stagecoach and Wilts & Dorset. Several hotels can be found within walking distance of the railway station. The city is home to one of England’s longest medieval walls and the old Tudor House Museum. Visit the SeaCity Museum across the Town Quay Marina, telling the story of the people of Southampton worked onboard the Titanic. The centre-piece of the gallery features a 1:25 scale, interactive model of the Titanic. Great shopping opportunities can be found at West Quay Mall with its large stores, shops and specialty boutiques. Southampton is the gateway to many southern England historical attractions such as the 11th century Cathedral of Winchester and the legendary Arthurian Round Table. Nearby is the home of Beaulieu Palace House with its large gardens. In Portsmouth learn more about the 19th century naval tradition of Nelson’s flagship HMS Victory. Ideal for family with kids is the close by Marwell Zoo, or for nature lovers the natural delights of the New Forest National Park is a short distance away. For a nice day out at the beach take the train west to Bournemouth. Other major cruise ports in England include Newcastle’s Port of Tyne, Liverpool Cruise and Ferry terminals, Portsmouth Hampshire, Dover UK and Harwich passenger terminals.